A Certified Laser Specialists (CLS) will provide a free initial consultation to determine the cost of each tattoo removal treatment and estimate the number of treatments that may be needed. The CLS take their time to answer any questions the client may have. A medical history and consent form will then be filled out. The CLS will take before and after digital pictures of each treatment to track your progress. The CLS will provide the client with a sheet of after-care instructions and will schedule the next appointment. Tattoo removal is safe and effective for Men and Women and can be performed on all parts of the body. However, it is only safe when performed by a Certified Laser Specialist using state-of-the-art equipment. 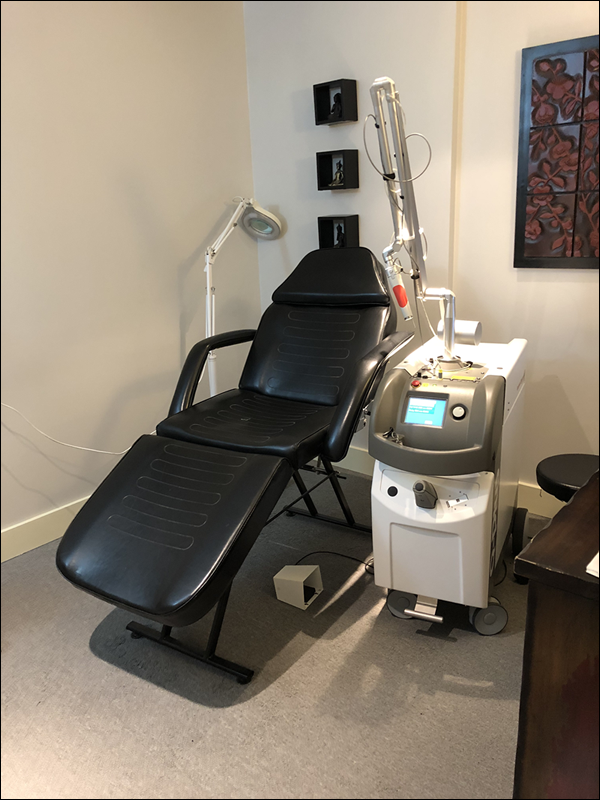 Vanish-Ink Tattoo Removal uses only the most advanced laser technology with the Quanta Q-Plus C.
Due to these factors, Vanish-Ink cannot guarantee full removal of any tattoo.